Luis Suárez's scoring record against Betis is excellent, with the Uruguayan forward plundering seven goals in four games against the Andalusian team. Left or right foot, from inside or outside of the area and whether at the Camp Nou or Benito Villamarín, the Blaugrana No.9 has shown his versatility against FC Barcelona’s next opponent. One of his favourite victims, Suarez scores an average of almost two goals per game against Betis (1.75), so Sunday's match at the Benito Villamarín is a perfect stage for the striker to continue his hot streak in the domestic competition. 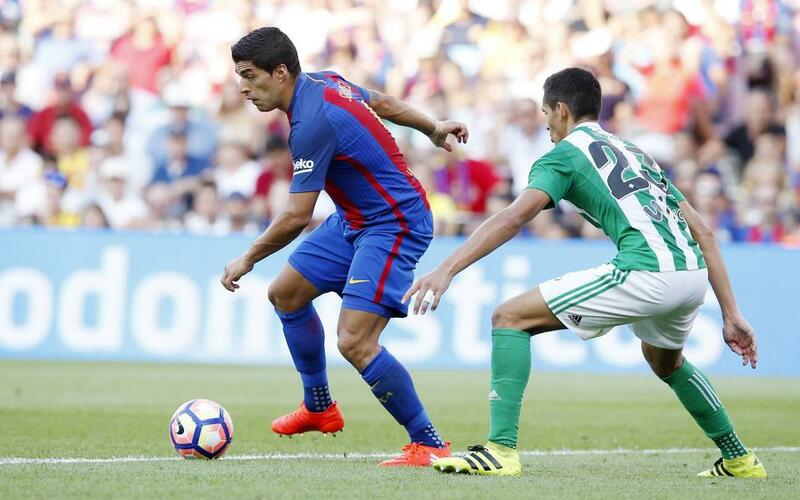 Enjoy Suárez’s seven goals against Betis in the following video!